5 Best Tech Gifts Under $100: Surprise Your Lover on Valentine's! With Valentine’s Day just around the corner, it’s time to think about gifts. In here, I will be talking about pretty cool tech gifts under $100 in 2019. If you are looking for Valentine’s Day gifts for techies, then this post is for you. In order not to overwhelm you with a lot of options, I decided to include 5 awesome options to choose from. If you a travel junkie like I am, here are highly useful travel gadgets under $50 that are absolutely worth getting for the next trip of yours. A great, unique Valentine’s Day gift for HER. Awesome gift choice for enthusiast photographers. Best present for all, especially those leading a sedentary lifestyle. Good option for non-picky amateur photographers and vacation trips. Make your choice and surprise your gadget lover! I’m a big fan of the Amazon Paperwhite line. With these e-readers has begun my acquaintance with the company’s products, and they have become my regular companions in the subway or in the airports. I not only enjoyed using these Kindle e-readers, but also bought them as a gift to my friends and even my mother. Because I knew for sure that Paperwhite has all the necessary functions at the highest level. Perhaps the only thing that these readers didn’t have back in 2013 was a higher resolution. However, in the newer version this aspect has been taken care of and your tech lover, who’s also an avid reader will greatly enjoy your present. 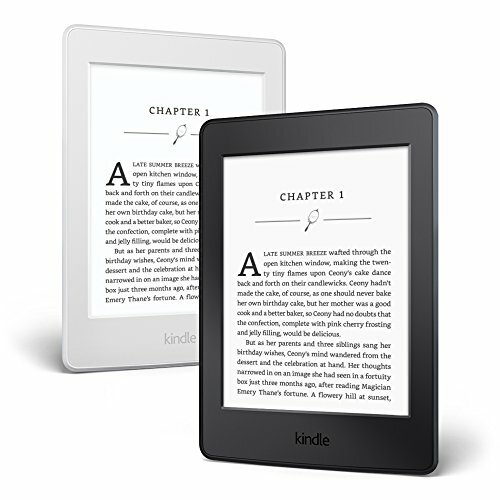 Kindle Paperwhite E-readers are thin and light, with a well done touch screen and built-in light, and a very comfortable own “shell”. Not to mention that it has a very reasonable price for such a quality product. Usually this Kindle e-reader costs more but during Black Friday, Christmas and Valentine’s Day, you will have exceptional deals that will be hard to pass. And this will make a perfect Valentine’s gift under $100, especially if your sweetheart is both a gadget AND a book lover. 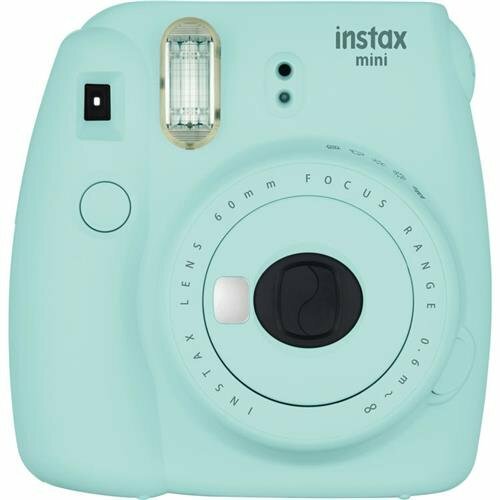 I won’t be wrong to say that Fujifilm Instax Mini 8 Instant Camera should be put in the category of Valentine’s Day gift ideas for HER. 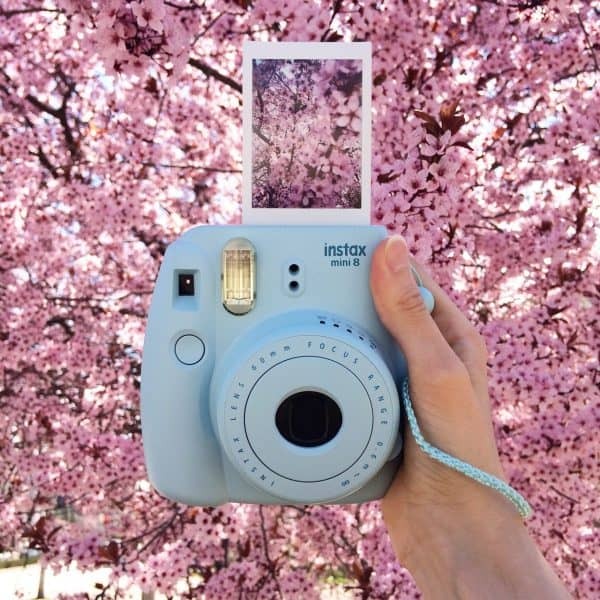 Mini 8 is the hit of the Fujifilm Instax line. It determines on its own what mode is needed at the moment of shooting and uses the light indicator to hint what to select. The mini 8 has five modes in total: 4 modes, indicated by the icons “sun”, “bright sun”, “cloud”, “house”, as well as Hi-Key. In the Hi-Key mode, the photos are produced have more contrast, with bright and soft colors. The camera easily turns on by extending the lens, and to turn it off, you just need to push it back. Thanks to simple indicators, even a child will be able to handle it, and the design and a variety of color solutions of mini 8 will not leave indifferent even an adult. This instant camera works thanks to simple AA batteries, which should be enough for 100 frames. Because this is an instant camera it definitely is a unique gift for Valentine’s Day 2019. Your sweetheart can take this to a party with friends, presentations or creative meetings. In our digital age, instant printing and pictures that can be seen on actual photo paper always cause a “WoW” effect. Since this site heavily focuses on cameras and photography gear, I can’t NOT recommend this camera & laptop backpack if your lover is tech-obsessed. (And therefore owns a lot of gadgets). If you think that buying a camera bag is too much, then I can seriously object to you. Camera bags, backpacks or cases (call it however you want) are designed specifically to protect your fragile and expensive equipment. Altura “The Great Explorer” backpack is amazing and one of the best ones available on the market today. 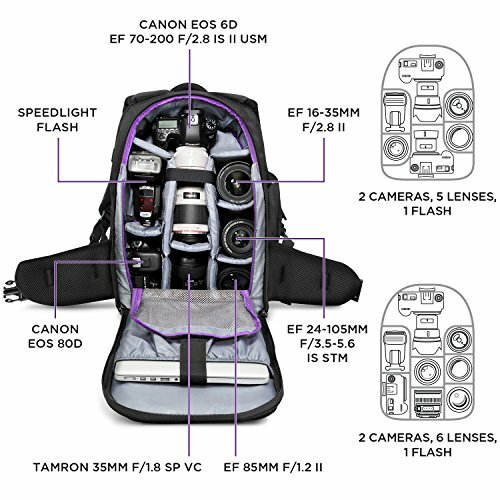 If your sweetheart is a photographer, this backpack is able to fit 2 DSLRs, 4-6 lenses, and a bunch of other photography accessories (in addition to the laptop). If your gadget lover and photographer is a big-time traveler too, then this camera bag will be highly appreciated. Did I mention that it’s highly durable and delivers ultimate protection for any digital technology equipment? Imagine that right at this moment a masseur kneading your neck and shoulders. Who doesn’t dream of getting a massage after a gym workout or a tiring day at the office? Heck, even working from home and leading a laptop lifestyle can put pressure on your muscles. Not everyone can afford to go to a masseur on a daily basis, so there is a great solution under $100: Naipo Shiatsu Back & Neck Massager. Important: If you are worried about osteochondrosis, radiculitis or other serious health problems, you cannot prescribe yourself a massage without consulting a physician. In a nutshell, the Naipo massager slowly and gently massages the biologically active points of the neck-collar zone. As a result of this massage muscles feel restored, and fatigue and tension are being relieved. It also eliminates painful sensations and harmonizes the state of mind. Due to its flexible structure, you can use Naipo for massaging the abdominal muscles, lower back area, as well as legs. 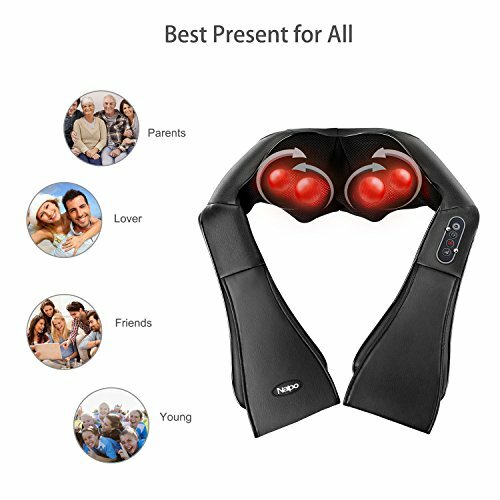 Surely you yourself would like to receive a massager as a gift. Moreover, this is not just a gift, but a way to show that you care about one’s mood and health. The massager will help to relax, strengthen health and cheer up. This is the best gift for a person who works in the office, leads a sedentary lifestyle or spends a lot of time driving. Naipo massager will be happily used every day, with warm thoughts about you. The main advantage of the Sony DSC-W830 is its compactness. 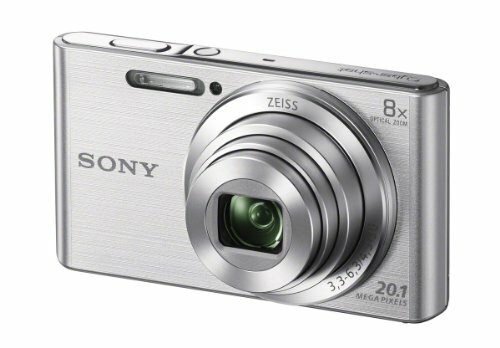 A metallic, rigid body with graceful bends makes the Sony Cyber-shot DSC-W830 more attractive. Another advantage of this model is the built-in optical image stabilizer Optical SteadyShot. Basically this feature allows you to take sharp pictures in low light conditions, which is especially important for the budget camera models of this price range. The zoom level with a focal length of 25-200 mm allows you to deal with any shooting task, be it portrait, narrow street or beautiful landscape photography. This camera has the function of automatic face and smile recognition, Face Detection and Smile Shutter respectively, so it’s easy to get beautiful portraits. For panoramic shooting, a special button is provided on the rear panel of the camera, as well as for shooting video in HD resolution. Note: You should realize that a camera that costs less than $100 sacrifices a lot of great features available to other cameras. If you are on a bigger budget and would love to gift a better quality camera for your photography lover, consider these sweet entry-level cameras for beginners. Generally talking, Sony Cyber-shot DSC-W830 is very suitable for everyday use as it easy and light, and for fast “cowboy” shooting: took out and took a shot! At the same time, the quality of images will far exceed the quality of photos from a “typical” mobile phone in the same price range. I’d recommend it as a gift to non-picky amateur photographers as the camera is very convenient, has a pretty good quality and suits for basic photography needs. Also, a great camera for vacation trips and/or beginner vloggers. Nothing strengthens the union so much as a “uniform” for two. It doesn’t mean that you always have to appear in the same clothing in public, you just have to have the same sweaters or t-shirts. Alternatively, you can choose to get a matching jewelry set, such as bracelets or necklaces. These are the few options that you should consider getting as gifts for Valentine’s Day in 2019. Especially relevant if your sweetheart is a gadget lover or a photography enthusiast. 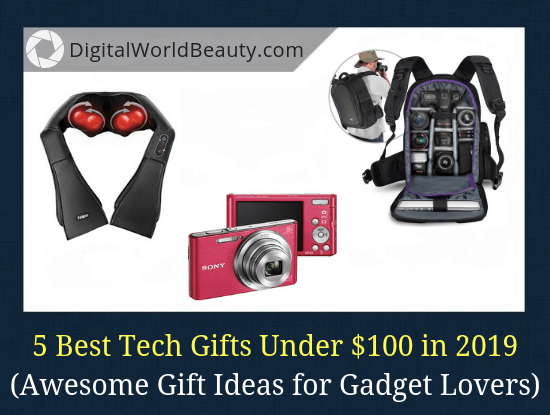 In my opinion all the aforementioned options are the best tech gifts under $100. (Keep in mind that the price is subject to change after the holiday). I also included cute non-techie, matching clothing/jewelry that you can get for less than $20 that have a symbolic meaning. I hope you found this article useful and would love to hear your favourite Valentine’s Day gift ideas for techies in the comments below!